Janie Simms Hipp, J.D., LL.M. (Chickasaw) is Founding Director of the Indigenous Food and Agriculture Initiative at the University of Arkansas School of Law. She is an enrolled member of the Chickasaw Nation. Prior to launching the Initiative, she served in the Obama Administration as the Senior Advisor for Tribal Relations to Secretary Tom Vilsack, and prior to her appointment within the Office of the Secretary she served in the National Institute of Food and Agriculture, USDA, as the National Program Leader for Farm Financial Management, Risk Management Education, Trade Adjustment Assistance, and the Beginning Farmer and Rancher Development Program. She also served at USDA Risk Management Agency as the Risk Management Education Director. Prior to her work in Washington, DC, at the national level, she has had a long career in the field of agriculture and food law. She has been a licensed attorney in Oklahoma for more than 30 years and specializes in food and agriculture law and Indian law. 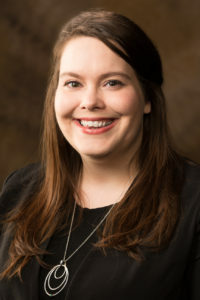 Colby is the Policy Director and Staff Attorney for the Indigenous Food and Agriculture Initiative at the University of Arkansas School of Law. Based in Washington, DC, Colby has nearly 10 years of experience in federal Indian law and policy, with a specific focus on food, agriculture, and natural resources issues. Prior to joining the Initiative, Colby served as a Staff Attorney and Legislative Counsel for the National Congress of American Indians (NCAI) in Washington, DC, advocating on behalf of Tribal Nations on land, natural resources, and agriculture issues, including the 2014 Farm Bill. Previously, he was a Legal Assistant for the Native American Rights Fund (NARF) Washington, DC office, and a Paralegal and Legislative Assistant at a Washington, DC law firm specializing in food and agriculture, and represented Tribes on land reparation and agriculture issues. Colby earned his law degree from the American University Washington College of Law in Washington, DC, and his Bachelor of Arts from Vassar College in Poughkeepsie, NY. He is licensed to practice in Maryland, the District of Columbia, the U.S. District Court for the District of Columbia, and the Supreme Court of the United States. In 2016, Colby was nominated by the Native American Bar Association of Washington, DC for its Significant Contribution in Indian Law Award for his work on environmental issues in Indian Country. Blake is the Policy Officer and a Staff Attorney for the Indigenous Food and Agriculture Initiative at the University of Arkansas, possessing nearly four years of combined experience in federal Indian law and analyzing agricultural policy issues. Prior to joining the Initiative, Blake was as a Staff Attorney for the Choctaw Nation of Oklahoma, where he is an enrolled member. He previously served as a Staff Attorney at the Chickasaw Nation Legal Division and clerked for Hobbs, Straus, Dean & Walker in their Oklahoma City office. His non-legal experience includes working as a Staff Assistant at the House Committee on Agriculture and as a Legislative Assistant for the Oklahoma House of Representatives. Blake obtained his Juris Doctor from University of Oklahoma College of Law, where he was a finalist in the National Native American Law Students Association Moot Court Competition, served on the American Indian Law Review, and obtained his Certificate in American Indian Law. He received his Bachelor of Science in Agribusiness from Oklahoma State University, where he co-authored two publications as a Legal Research Assistant for the Oklahoma Cooperative Extension Service and was institution’s first student to be named a Morris & Stewart Udall Scholar and Harry S. Truman Scholar in the same academic year. He is currently pursuing his LL.M. in Agricultural and Food Law at the University of Arkansas and is licensed to practice in Oklahoma. 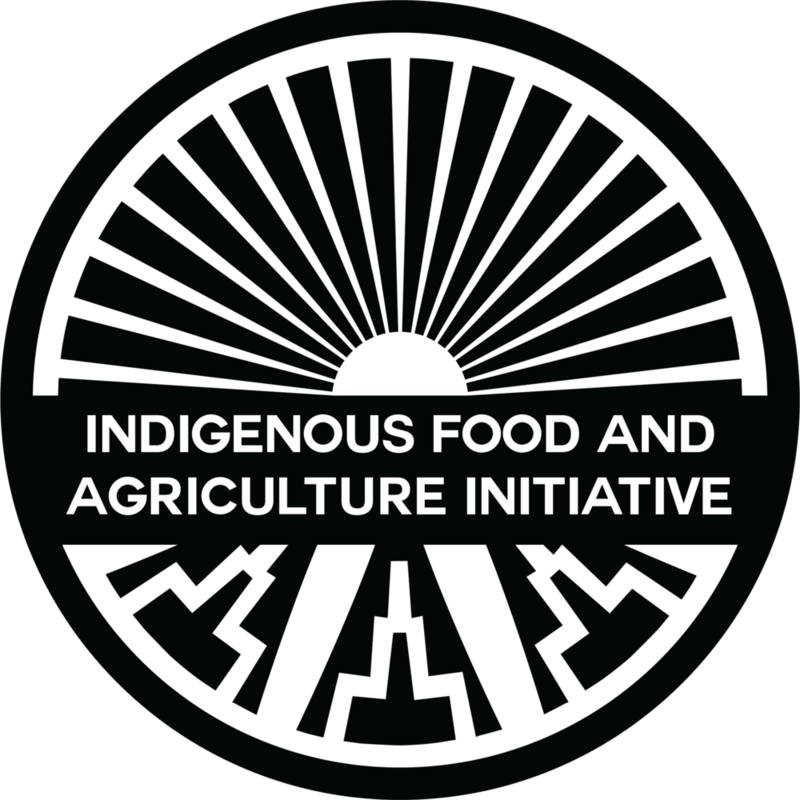 Erin currently serves as the Research Director of the Indigenous Food & Agriculture Initiative at the University of Arkansas School of Law, where she supports the Initiative through program development, research and writing, and analysis of legislative and regulatory issues affecting Tribal governments, businesses, and individual producers. The bulk of her professional work centers on the tension between the tectonic plates of food & agricultural law and federal Indian law, and as part of this work, she will be part of a team of Initiative attorneys developing a Tribal Model Food & Agriculture Code. Most recently, she authored the 2015 Intertribal Food Systems Report, which lifts up nearly one-hundred different innovative food systems programs doing work across Indian Country. This work was generously supported by a grant from the W.K. Kellogg Foundation, and the report should be released in early spring 2016. Before beginning her work with the Initiative, she worked as a Staff Attorney and Research Coordinator for the Cobell Commission, a national working group convened by the Secretary of the Interior to repair the federal government’s Indian land trust management system. She is a proud Law Hog and holds both her J.D. and her LL.M. in Agricultural & Food Law from the University of Arkansas, and her final thesis for the LL.M. program was a practical legal guide to conducting food recovery in the state of Arkansas. She continues to advance her work in the area of food conservation law and policy by volunteering her time and experience to the law school’s Food Recovery Project. Toni is the owner of a consulting firm and the founder of Indiancountrygrants.com. After graduating law school she began working for the United States Department of Agriculture Office of the Assistant Secretary for Civil Rights in Washington DC. During her time in Civil Rights, she led the office in reviewing thousands of outstanding claims as well as the settlement of the Keepseagle Opt-Outs, resulting in the protection of over 380,000 acres of tribal land from foreclosure. Toni moved from Civil Rights to the USDA Office of the Secretary where she represented the Department in working with the United States Forest Service on improving sacred sites policies. She now works with tribes in lending, business and infrastructure development, code writing and agricultural development. Julie Ralston Aoki joined the Center in 2007 and has over two decades of experience in developing public policy for the public good. She coordinates the work of the Healthy Eating and Active Living team and provides legal technical assistance to support Tribal, state, and local communities in developing laws and policies to support healthy food systems, active living, and alcohol control in ways that advance health equity goals. She has written amicus briefs to support local public health laws; oversees the development of educational resources and materials; and provides educational and training presentations at state, regional, national and Tribal conferences. She has taught Public Health Law and Legal Writing as an adjunct professor. She is also the past president and current member of the Minnesota Community Health Worker Alliance Board, a volunteer member of the Robbinsdale Human Rights Commission, and the parent of three kids. Before joining the Center, Julie served as an Assistant Attorney General with the Minnesota Attorney General’s Office in the Consumer Protection and Antitrust Divisions. She is an avid science fiction reader and is working on learning to play the ukulele. Kelly holds an LL.M. in Agricultural and Food Law from the University of Arkansas Law School, a J.D. from Drake University Law School, and She has a B.A. in Political Science from Fort Hays State University. She previously worked at the University of Maryland and with the University of Delaware Cooperative Extension, where she helped farmers manage legal risks and understand federal and state laws that impact their operations. She staffs the Food System Integrity Committee. LIVIA MARQUÉS is the founding principal of Food Driven Strategies, where she provides guidance and consultation to organizations focused on community food systems as the catalyst for broader systemic change. She also serves as the Senior Strategist for Food and Land with The Conservation Fund. She brings over 20 years of experience and technical expertise in promoting equitable, fair, sustainable, and economically viable local and regional food systems. By working directly with producers and communities across the country in urban and rural areas, Marqués brings a unique skill set based on her diverse experience in the sustainable food and agriculture sector, the federal government, non-profit sector, and philanthropy. She served in multiple positions at the U.S. Department of Agriculture, from District to State Conservationist and National Plant Materials Specialist for the Natural Resources Conservation Service. Marqués was Founding Director of the People’s Garden Initiative at the U.S. Department of Agriculture where she led this international effort to promote community-based agriculture. She also created “Share Your Harvest” a national campaign that in one year resulted in the donation of 1.2 million pounds of fresh produce to families in need. Prior to Food Driven Strategies, Marqués served as a national program officer for the W.K. Kellogg Foundation, where she developed the Transnational Food Sovereignty investment strategy and managed a $30M portfolio. An accomplished public advocate and passionate spokesperson, Marqués is the recipient of the President’s Volunteer Service Award, a finalist for the Samuel J. Heyman Service to America Medal for Citizen Services, and the Outstanding Alumnus of the College of Agriculture & Life Sciences at North Carolina State University. Marqués is currently a Board member of the National Center for Appropriate Technology.